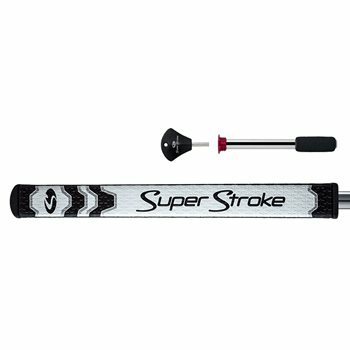 The SuperStroke Ultraslim 1.0 Flatso with CounterCore technology allows you to fine tune the feel and stability of the putter by adjusting the weight of the grip. The CounterCore putter grip comes with a 50g back-weight that engages larger muscles in the arms, shoulders and back, which results in more of a pendulum motion. The patented no taper design promotes even grip pressure for better putting. If preferred, it can also be played without the weight. The revolutionary pentagonal profile allows for increased consistency due to its wider flat-front and multiple edges.